A spectroscope helps scientist (and you) to study and observe a spectrum of light. When white light travels through a double slit, an interference pattern immerges that is dependent on the wavelength of light. A diffraction grating will also reveal a spectrum. Use this apparatus to make your own spectroscope. Using the Visual Scientific Diffraction experiment combined with the Visual Scientific base and back board students will derive and experimentally prove the relationship y=(mL)/d. 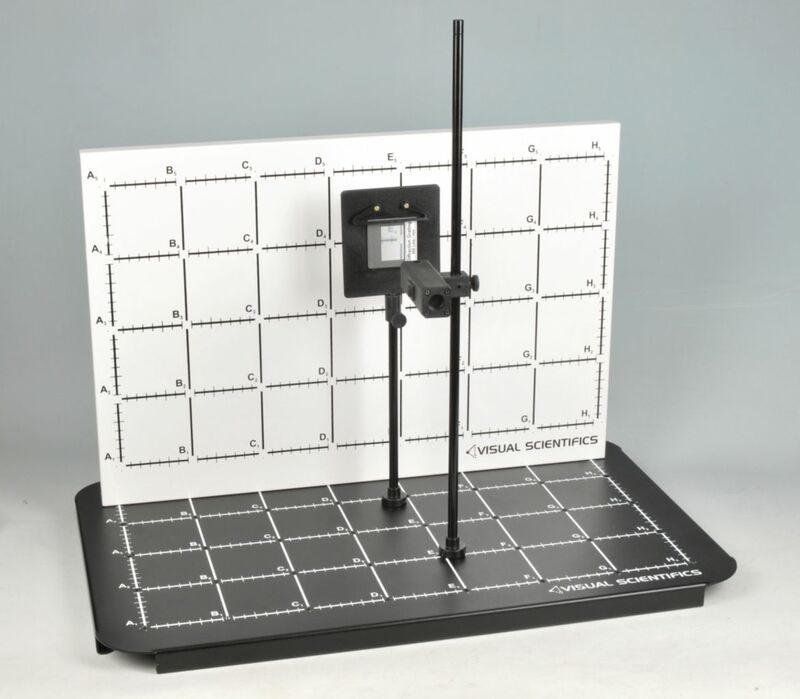 The concept of wave and particle duality is typically difficult to understand and construct without and expensive optical bench, but using the visual Scientifics system it is fast and easy to set up and explore. Also comes with a 10+page instruction booklet covering approximately 2 to 3 hr of class/lab time material. Instructions are written to explicitly cover Next Generation Science Standards Concepts, and Common Core Standards. Every module includes comprehensive instructions to assist with lesson planning, student activities, and experimental procedures. All labs and extensions feature recommended video analysis setups and guides. Included items are mounted laser, support post, 3 different diffraction gratings, and slide holder. 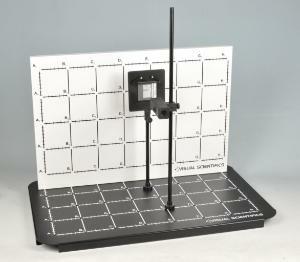 Required but not included: ruler, Visual Scientifics base and Visual Scientifics backboard.